Windows Defender is a pretty good antivirus, it is a solid tool and when coming already integrated into Windows it has a very low impact on system performance compared to third-party solutions. We do not say that it is perfect, but as a basic security solution, free and integrated perfectly with Windows 10, it is very well stopped. With the arrival of the Creators Update Microsoft gave a facelift to its antivirus tool and has turned it into a complete security center with several options to protect you from different threats or solve problems in a couple of clicks. One of the most important features of Windows Defender is cloud-based protection, as it claims to provide greater protection and faster access to the latest data. And with the Creators Update you can also manually choose the level of protection based on the cloud and increase it, only that the process is something more complicated than checking a box in the Security Center. It is important that you know some things before you start. The first is that in order to increase the level of protection of Windows Defender you will need to edit the Windows registry and you will have to join the Microsoft MAPS program. By joining the Microsoft MAPS program you will accept that the company collects several pieces of information about the threats detected on your computer, and at some point your personal information may be collected, although Microsoft promises that it will not use it to identify you or contact you. Before proceeding to edit the Windows registry it is important that you be careful to do it correctly or you could damage your system permanently. We recommend you create a restore point to which you can return in case something goes wrong. Press the Windows + R key and type ” regedit ” (without the quotes) and press Enter. This will open the Windows Registry Editor. Now right click on Spynet, choose New, then select DWORD Value (32 bits) and change the name to SpynetReporting . Press Enter. Then double click on SpynetReporting and change the Value information from 0 to 2. Press Accept. With this you will have joined the Microsoft MAPS program. Now it’s time to change the level of cloud-based antivirus protection. Right click on Windows Defender. Select New , then choose Password . Name the new folder as MpEngine and press Enter. Now right click on MpEngine, select New and then choose DWORD Value (32 bits) . Change the name of the key to MpCloudBlockLevel and press Enter. 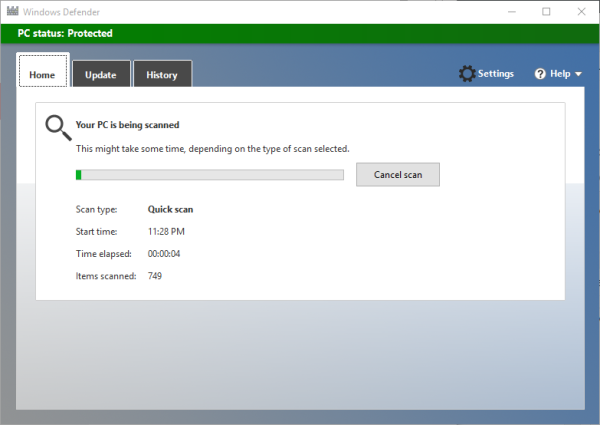 Double-click on MpCloudBlockLevel and change the information number from 0 to 2 and press OK.
Once these steps are completed, Windows Defender will use a higher level of protection when it comes to scanning and detecting suspicious files on your computer. Hopefully these options appear sooner or later directly in the Security Center to avoid having to resort to edit the registry if we want to enjoy them.